Now that it’s summer the kids are outside more and more. Whether it’s summer camp, playing in the park or just hanging out in the neighborhood, outdoors is where it’s at! These are some fun projects that can be made (outside if you want to!) easily and with little supervision. Make tin can wind chimes. Make a milk carton bird feeder. Make a classic butterfly craft. Make a bubble snake blower. Make a tie-dyed t-shirt or pillow case. Make a flower crown for a king or queen. Make spin art streamers for the 4th of July. 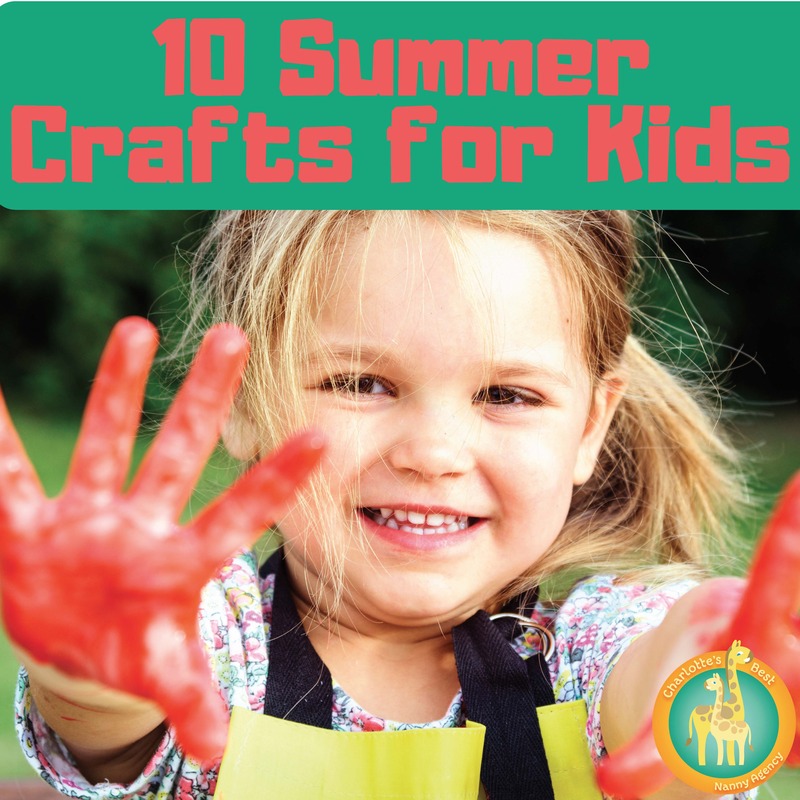 Let us know if you tried any of these crafts! We would love to see your creations. Charlotte’s Best Nanny hopes you all have an amazing summer and a happy 4th of July!